Instructions: The plaid patterned paper is the largest 12 x 12" layer. White cardstock 11 x 11", brown cardstock 10.75 x 10.75", kraft cardstock 8 x 10.25" and distress the edges of this layer. Adhere these layers together. Cut a strip of the polka dot patterned paper that is 3 x12", and tear both ends. Find and cut out the orange border strip and cut the length to 10.25". Adhere these to the left hand side of the layout. 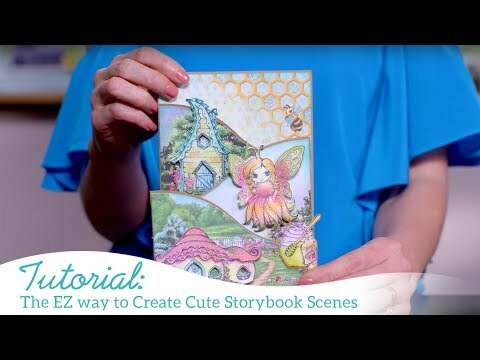 Find and cut out the yellow journal block with the brown decorative border. Cut in half and split apart on top of the polka dot patterned strip. Double mat the photo (4 x 6") in white cardstock. Add kraft photo corners to the photo. Adhere to the layout using Crafty Foam Tape. Find and die cut out the large blue tag. Add a bow of burlap string and adhere to the left hand side of the matted photo. Stamp and die cut out 2 sets of each of the Poinsettia Flower sizes using dark brown ink (Early Espresso). Add color to the images using ink and daubers, Fossilized Amber and Walnut Stain to the tips. Stamp and die cut 1 set of the Lush Lilac flowers in dark brown ink. Add color to the images using the same ink and daubers. Stamp and die cut 3 sets of the Classic Rose Vines images using dark brown ink (Early Espresso). Add color to the leaves using ink and daubers (Old Olive). Shape the leaves, and shape and assemble the flowers. Using liquid glue, add beads to the middle of all of the flowers. Let dry. Adhere the flowers diagonally across the layout. Add pieces of the leaves around the flowers. Stamp and die cut 2 of the Honey Bee Maidens using dark brown ink. On one of the images just color the skirt of the maiden. Add color to the entire image of the other maiden, all using Chameleon Pens (YO3, NU3, NU1, BR5, BR2, YO2). Fussy cut out each piece of the skirt from the partially colored image, and shape slightly. Adhere to the fully colored image, I used small pieces of 3D foam tape to add dimension to the skirt. Add a small flower to her hair. Using yellow Stickles, add sparkle to the wings and skirt. Adhere to the bottom right hand corner of the layout. Find and cut out the "You Are BEE-utiful" sentiment and flag one end. Adhere next to the Honey Bee Maiden. Stamp and die cut one set of the honey bees using dark brown ink. Add color using Chameleon Pens (CG8, YO2, YO3, BG1, BL3). Add light blue Stickles to the wings. 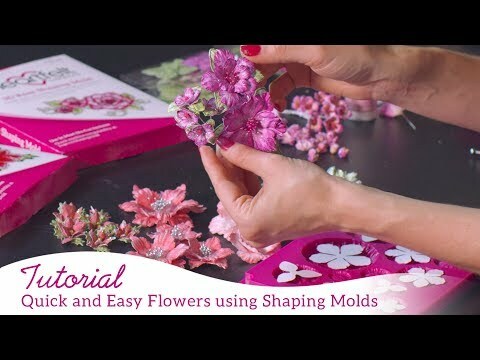 Adhere to the layout using 3D foam squares around the flower clusters.